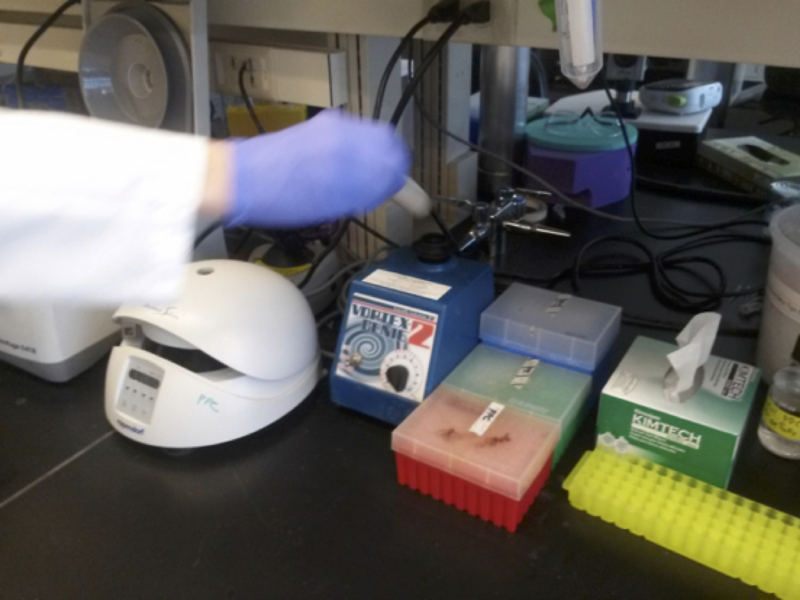 Loading protein samples at the beginning of a run. Deli case-prep work needs to be done before purifier run. That includes changing buffer containers, purging the lines, placing columns, setting the fraction collector. Dmitry Serbzhinsky holds a B.S. and M.S., and he completed the Biotechnology Lab Specialist program at Shoreline Community College. 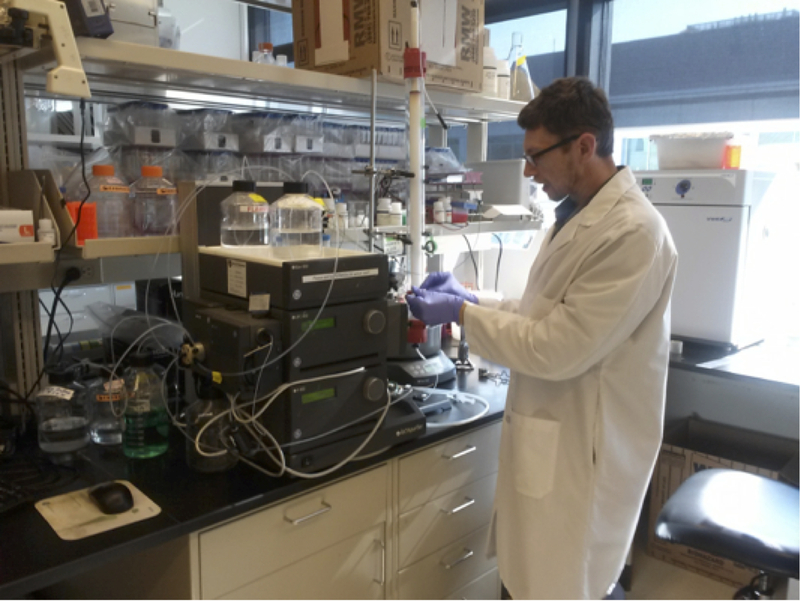 He now works in protein purification at the Center for Infectious Disease Research in the South Lake Union area of Seattle, WA. 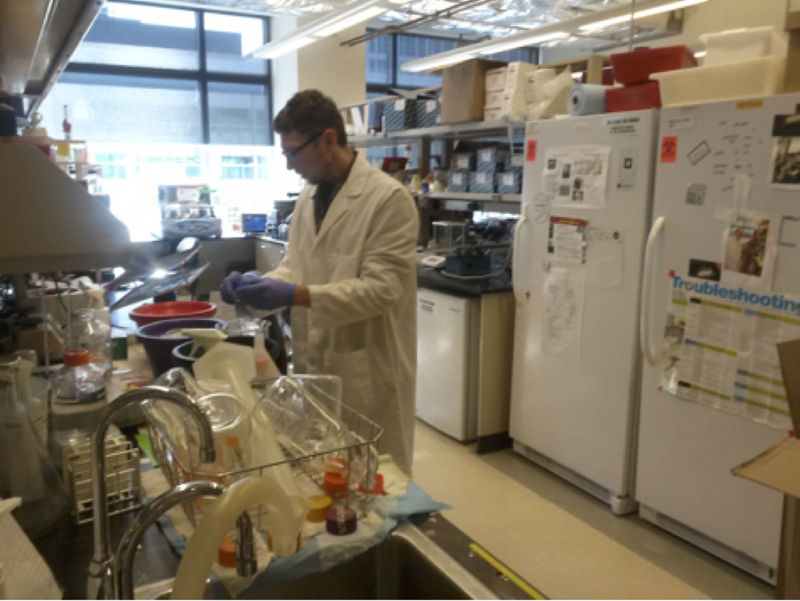 Dmitry describes how he uses a variety of skills for conducting cutting-edge work to isolate and characterize proteins. I oversee and coordinate a range of "high value target" projects, which involves cloning, expression, purification, crystallization, X-ray data collection and data analysis for solving 3D structure of 12 proteins from M. tuberculosis, L. donovani, Burkholderia cenocepacia. I conduct assay development and optimization, protein expression, purification and analysis, and verification of experimental data. 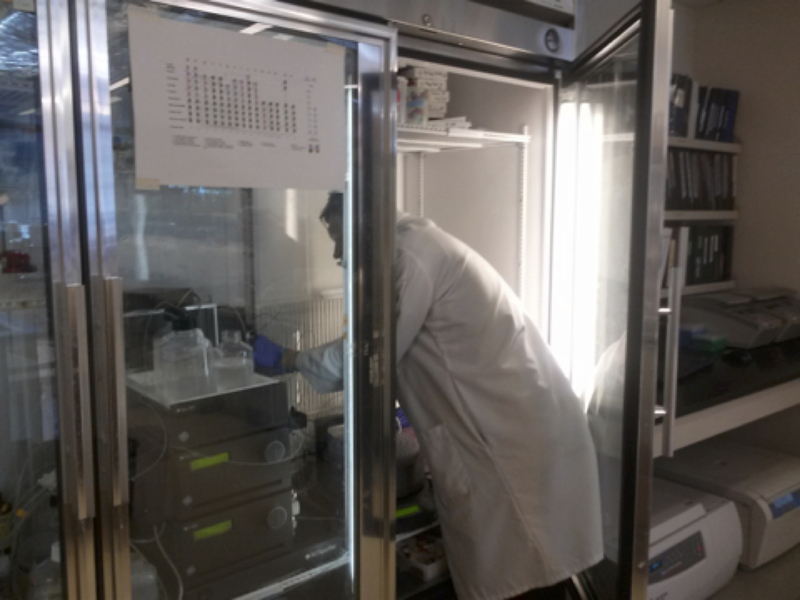 I also conduct maintenance and troubleshooting of lab equipment and problematic protein purifications. 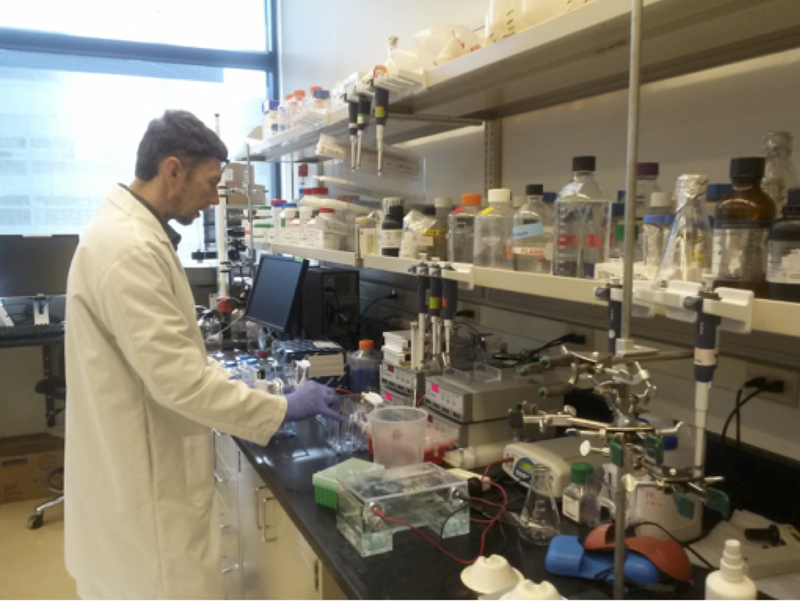 I also consult collaborators and other labs around the institution about protein expression and purification. Assay development and optimization; Experimental design; Large scale protein expression; Protein exclusion chromatography based on affinity, size, and ion-exchange; FPLC; HPLC; LC/MS; Research of scientific literature; Electronic data capturing systems and databases; Biostatistics; DNA extractions; Purification and analysis; Molecular cloning; PCR; SDS PAGE; Western Blot; IP; ELISA; Tissue culture. 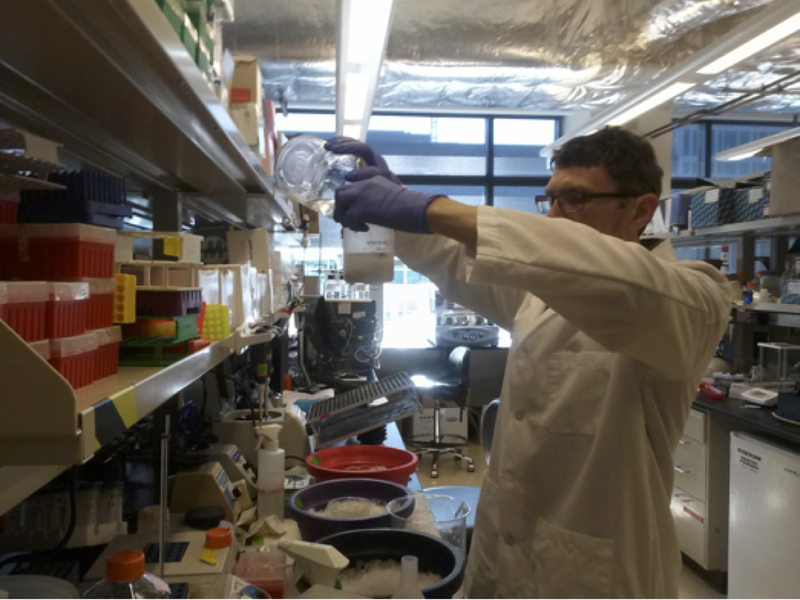 Because I work to support both pipeline and special projects in our lab, I am involved with two main types of activities: doing standard protocols for protein purification pipelines and organizing research for so-called special projects, which are usually focused on a single protein or complex. For routine activity I maintain our FPLC machines, conduct lysis of bacterial pellets, use Immobilized Metal Affinity Chromatography and Size Exclusion Chromatography, analyze collected fractions via SDS PAGE gels and Western Blot, and enter data into a protein purification database. For special projects I will design particular experiments, communicate with PIs, collaborators, and subcontractors about project direction and progress, write reports and/ or papers, and make presentations for group meetings and conferences. -Try to be an expert in at least one technical field. Everything stated above is based on my personal experience, so it may not work for everybody. However, I am happy if you found it helpful.